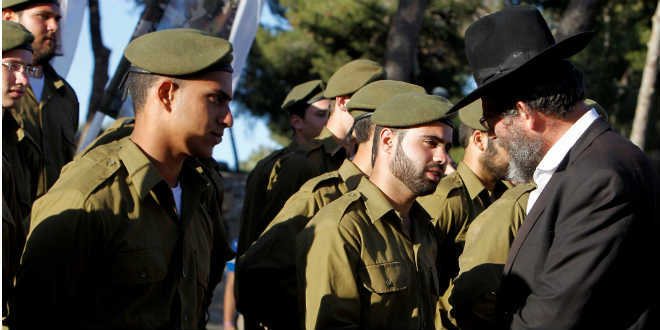 Despite Tension, IDF Sees Record Haredi Enlistment - Breaking Israel News | Latest News. Biblical Perspective. Israel Army Radio released the results of a recent poll on Wednesday which indicate immense pride in the IDF among Haredi (ultra-Orthodox) soldiers. This comes as record numbers of Haredi men are enlisting in the IDF. On Thursday, a record 400 new Haredi recruits began their military service, bringing the number of Haredi soldiers currently serving to roughly 3,500. As Haredi youth have traditionally enjoyed exemption from service in favor of continued Torah study in yeshiva, these soldiers are serving on a strictly volunteer basis. This trend is growing, and the IDF hopes to enlist 10,000 Haredi volunteers over the next five years. Two units specifically serve the needs of the Haredi community: Netzah Yehudah and Shachar. The former is a combat battalion and the latter is a technical company within the air force. The Shachar model is being copied in other branches of the army. The two programs offer additional religious accommodations for Haredi soldiers, including regular prayers and Torah study times. The Shachar program is designed specifically for married men, offering them the opportunity to return home to their families each night as well as higher family pay. Poll respondents in the Shachar program specifically expressed high rates of satisfaction in their unit (79%). 73% felt the army was considerate of their needs during the enlistment and placement process. All of this is a pleasant surprise given the recent rise in tensions between the IDF and the Haredi community. Since the establishment of the state in 1948, Haredi yeshiva students have qualified for exemptions from army service due to their Torah studies in growing numbers. Last summer, the latest incarnation of the exemption, the Tal Law, expired, and the High Court declared these ongoing exemptions “unconstitutional”, despite Israel not having a constitution, since they undermine the principle of equality. 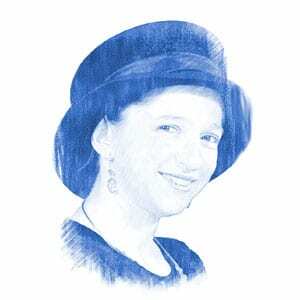 Since then, the issue of the Haredi draft has become a bone of contention. Secular and national-religious Israelis, who make up the bulk of the army, feel that Haredim are taking advantage of the system and not pulling their weight. Haredim, meanwhile, believe that their studies are a form of defense, as the holy pursuit of Torah study is the country’s spiritual weapon. They also fear the secularizing influence of the army on members of their insular community. The Peri committee has drafted a bill to establish guidelines for Haredi mandatory service, and the bill passed its first reading last week. The event was accompanied by mass Haredi protests. Last month was also marked by several Haredi attacks on Haredi soldiers. Rabbis involved in the voluntary recruitment of Haredi soldiers have expressed concern that the enforced recruitment of Haredim would reverse the current positive trend.